This was ordered before I realized that these records are already online. I had already found everything I needed from South Stukely (Robert Erwin Clifford’s family records). I had hoped to find records from Wilhelm Schmidt’s family since Weissenhöhe is very near where he was born and might have actually been the town in which he was born. I only found one record I would consider a “possible” hit. It’s puzzling and I still have to have someone who speaks German take a look at it for me. I’ll post about that separately. There were many “Schmidts” in the records, but since it’s a name about as common as “Smith” here, that was not surprising. Nobody that I could identify as being from my family definitively was found. 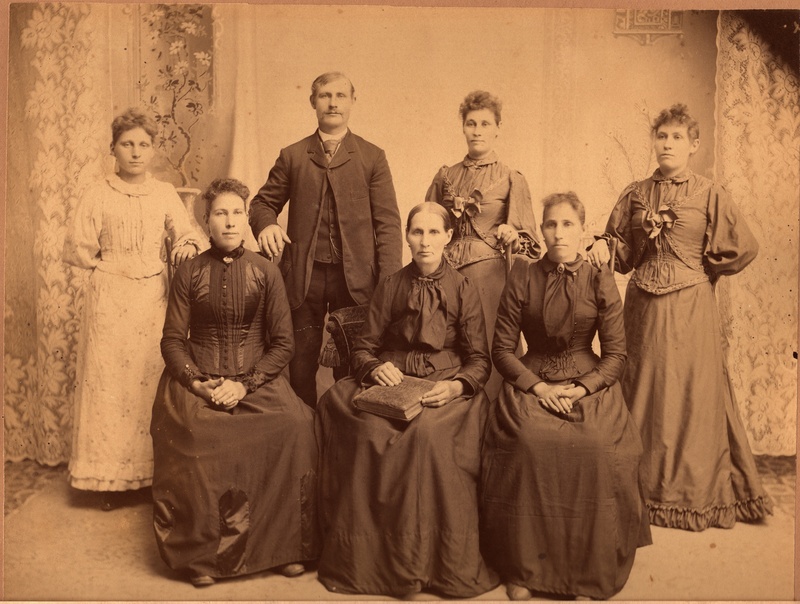 My 2nd great-grandfather, Carl Ernst Wilhelm “William” Schmidt (1862-1925), or as my mother and I call him, Wilhelm, sponsored the immigration of his mother (Wilhelmine Winkelmann, 1836-1914) and his five sisters to the US about 1892. They did not come all at the same time. Some came together and other came separately. They left their home in Gornitz, Posen, Prussia and traveled to the port of Bremen, Germany. From there they traveled by steamship to New York harbor, and from there by train to Rothschild, Wisconsin. When the family was reunited, they went to a photo studio in Wausau, Wisconsin and posed for a photograph that is one of my favorites out of all the historic photos I have in my archives. Wilhhelm Schmidt with his mother and five sisters in 1893. Born in Karolina, Posen, Prussia on 10 Nov 1865. 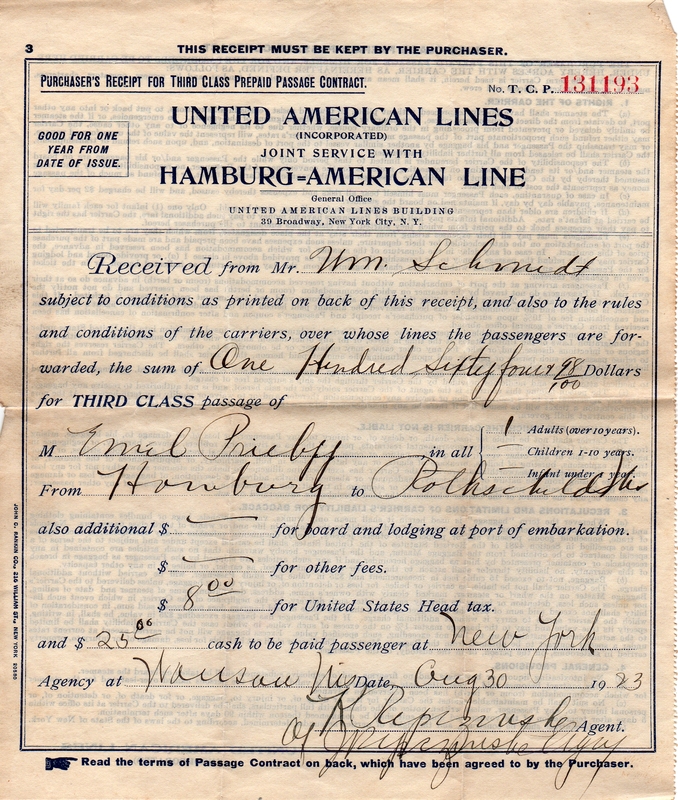 Came to the US aboard the “Ems” with her mother, sister Bertha, and nephew Wilhelm Karl in July, 1892. Lived in Minocqua, Wisconsin around 1900 working as a servant in the home of Charles Hoofer, a printer. Lived in Berlin, WI and Schofield, WI. Had at least one son, Paul W. Mueller (1903-1970). Was also the mother of Ernest Little (1901-1951), who was raised by Peter Little and her sister Lena Schmidt Little. She and Peter had an affair which resulted in the pregnancy. Alvina died in Schofield, Wisconsin on 7 Jul 1942 of a coronary embolism at the age of 76. Has at least two living descendants as of 2013. Born in Karolina, Posen, Prussia on 18 Jan 1869. 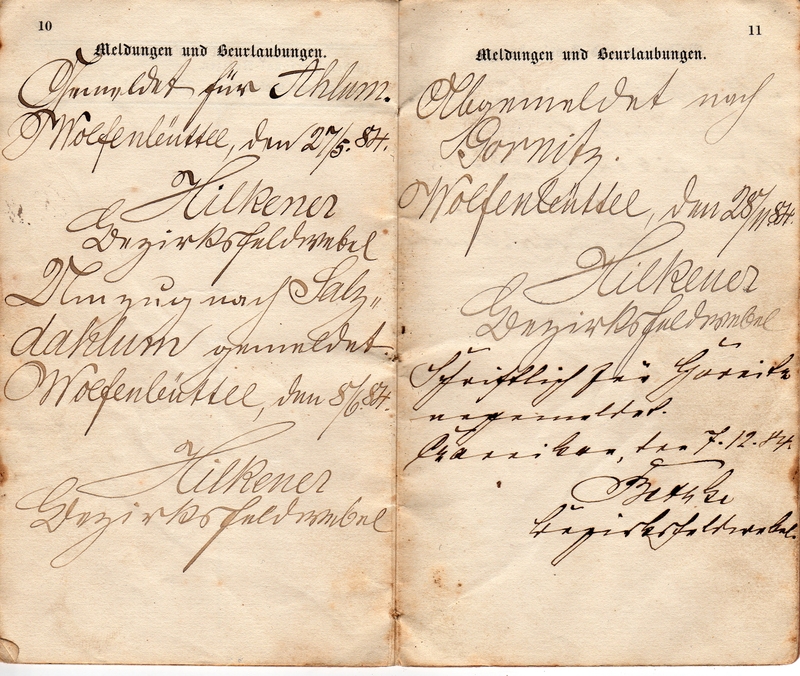 Married Christian Karl 28 Mar 1891 in Stieglitz, Kreis Czarnikau, Posen, Prussia. She was six months pregnant. Her twin boys, Gustav Albert and Wilhelm Friedrich were born in the town of Stieglitz on 20 Jun 1891. Came to the US aboard the “Aller” with her husband and one of the twins, arriving in New York City on 19 Apr 1892.. Lived in Rothschild, and Wausau, Wisconsin. They had six girls and four boys. Died of a ruptured appendix in Wausau, Wisconsin on 14 Jul 1932. Grandson Robert Karl lives in Rothschild, Wisconsin. I have identified several other living descendants. Antonie was born in Karolina, Posen, Prussia on 31 Aug 1872. She came to the US in 1892. So far it’s not known what ship she took to come here. 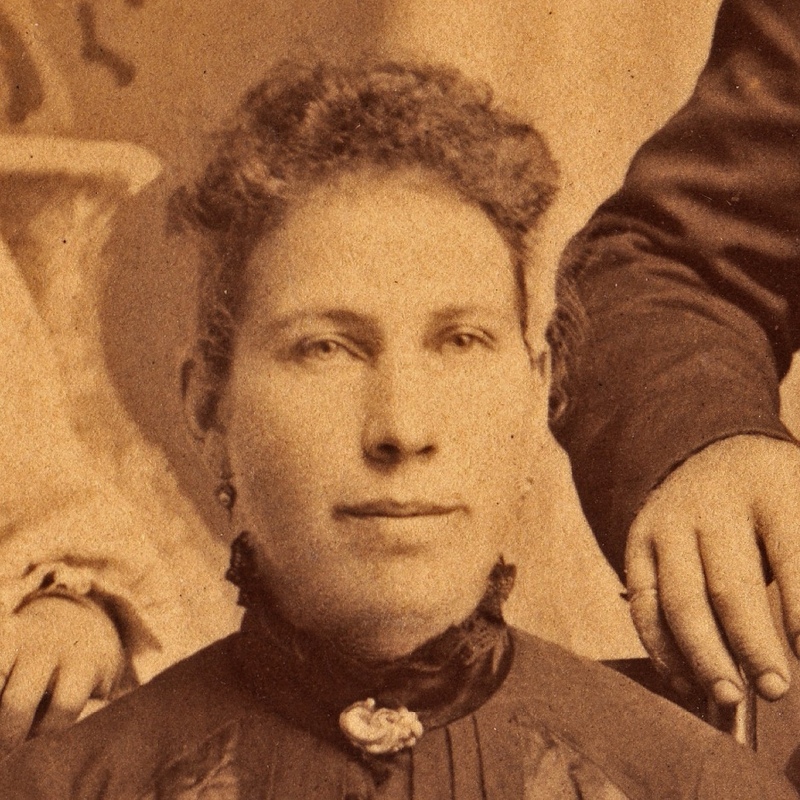 She married Theodore Beste 24 Dec 1896 in Wausau, Wisconsin. He was a widower who had seven children, and Antonia had to take care of them all. Theodore was 24 years older than Antonie. Antonia and Theodore had a daughter, Ruth J. Beste who was born 1910. Antonia lived in various places around Marathon County, then moved to San Mateo, California about 1944. Died on 10 Dec 1951 in San Mateo from pancreatic cancer. Daughter Ruth had two children, both of whom are alive as of 2013. Antonia Schmidt & Theodore Beste, c1900. Born in Gornitz, Posen, Prussia on 25 Nov 1875. Came to the US in 1892. Married Peter Blanchard Little in Vilas County, Wisconsin, 11 Apr 1896. He was French Canadian. Pauline was six months pregnant. Peter worked as a saloon-keeper, barber, and ran a confection store and soda shop. 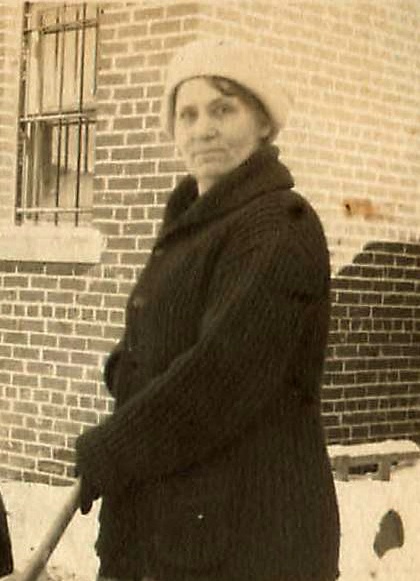 Lived in Minocqua, Wisconsin until 1932, then spent the rest of her life in Schofield and Rothschild, Wisconsin. Husband Peter died 19 Jun 1933. Had a daughter Jennie, who died in infancy. Raised Irving “Ernest” Little, who was the son of her sister Lena and her husband Peter. Ernest had a daughter, Karen Little (b 1937). Karen married Lloyd M Schultz and lived in Schofield until 1994 when she moved to Virginia. 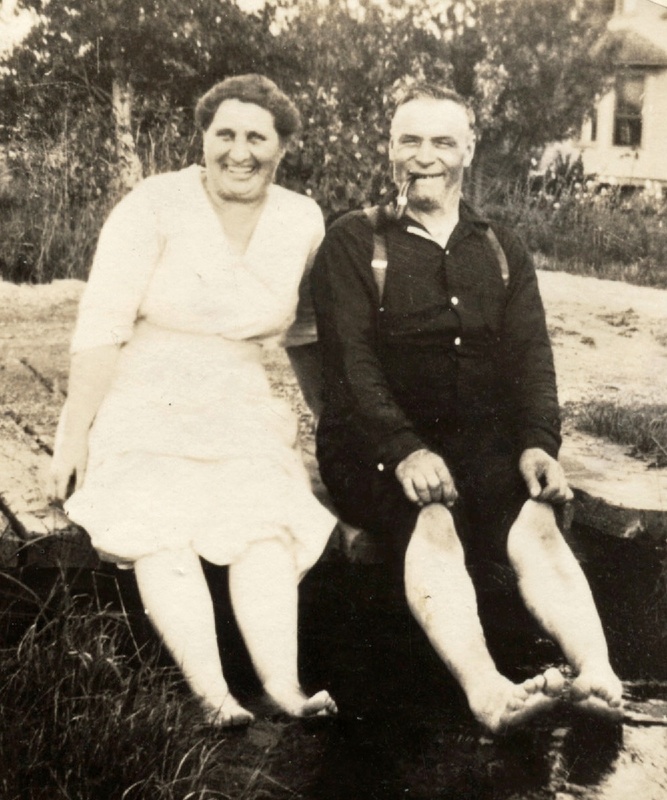 Lena died 7 Sept 1953 in Wausau, Wisconsin and is buried with Peter and daughter Jennie in Minocqua, Wisconsin. There are four descendants of her line through her grand-daughter Karen. Born in Gornitz, Posen, Prussia on 11 Jan 1880. Came to the US aboard the “Ems” with her mother, sister Alvine, and nephew Wilhelm Karl, arriving in New York City on 25 Jul 1892. Married Joseph Schneider in Marathon County, Wisconsin, 10 May 1898. Bertha was 4 months pregnant. Lived in Schofield, Wisconsin until 1930. Had four boys: John, Ernest, Joseph, and Harvey. Died 29 Mar 1946 in Wausau, Wisconsin at the age of 66 from a heart attack. I am in touch with one of her great-grand-daughters. Bertha Schmidt & Joseph Schneider in 1924. 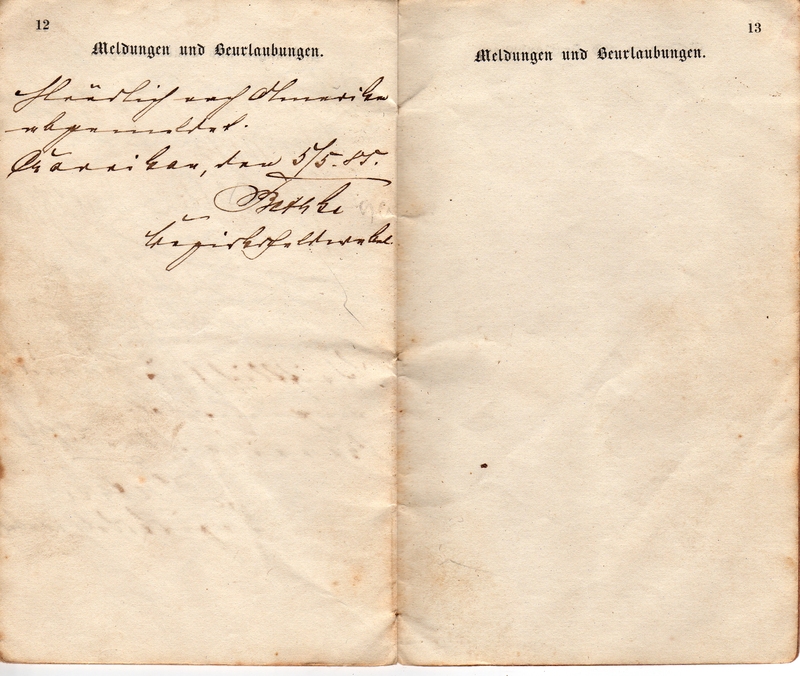 On May 15th, 1865 Friedrich Zierke Sr., his wife Dorothea and their children Anna Rosina and Friedrich Zierke Jr. boarded the ship “Neckar” in Hamburg and set sail for America. The trip lasted a full month – four long weeks packed onboard a ship with 411 passengers; 11 Danes, 120 Swedes and 280 Germans (per the notation by the Captain). The ship sailed to Québec, Canada, arriving on June 24th, 1865 where the four weary Zierkes finally set foot on the American continent. One of the things that made their voyage remarkable was that Friedrich the elder was 59 years old. His wife Dorothea was 50. Friedrich the younger and Anna Rosina were 28 and 20, respectively. 59 and 50 years old are fairly advanced ages to decide to leave everything and everyone you know behind to start over in America. It is interesting to me that they decided to do it and begs the question of “Why?”. 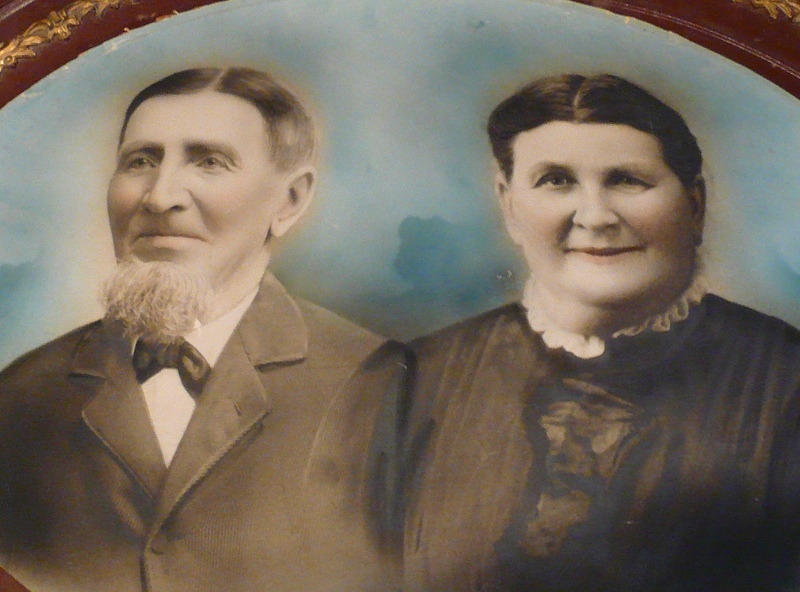 After their arrival in Quebec, we have no record of what happened to Friedrich Sr., nor his wife Dorothea, until 1900 when Dorothea shows up in Harrisville, Wisconsin, widowed and living alone for the last year of her life before dying in 1901. If we could find an obituary it might tell us where she was born and/or where she and Fred went after they arrived in the US, but I’m not aware of local Marquette County papers which might have carried such an obituary. 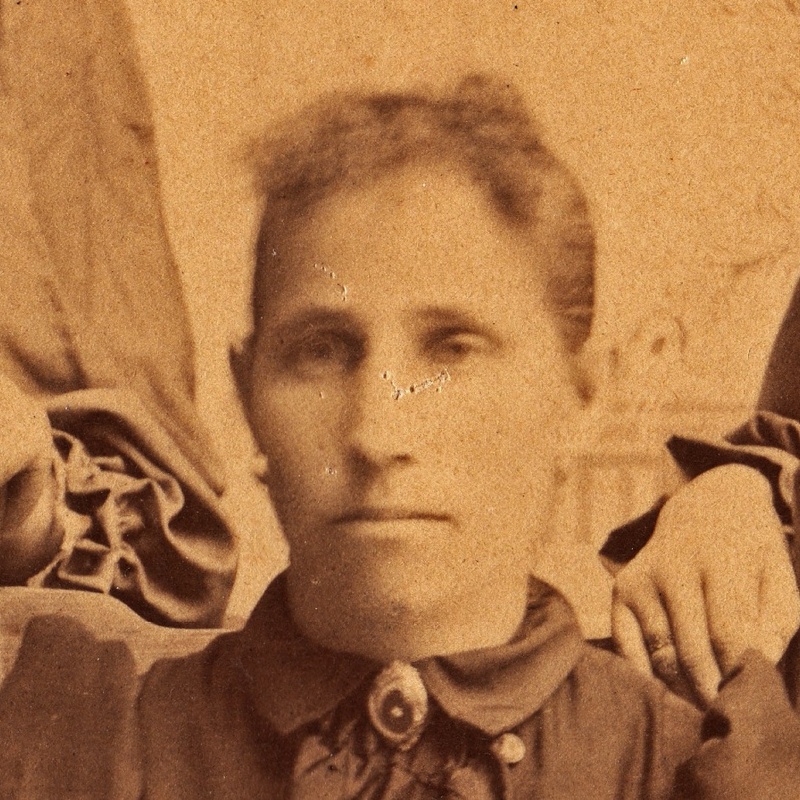 Her death record says that Dorothea’s father’s name was “Hardow”, that she was born 7 July 1814, and died on 2 Mar 1901 at the age of 86 in Harris, Wisconsin. There is a good chance her name was actually Hadow. There is a Hadow family that came from Wilhelmshöhe, Kreis Kolmar, Posen, Prussia and also settled in Harris. She was buried in a “private cemetery”, likely the Putzbach Cemetery which is within walking distance of the Zierke farm in Harris. According to parish records, Friederich Jr’s wife, Anna Wilhelmine “Minnie” Schulz was born, baptized, and confirmed in the town of Podstolitz in Kreis Kolmar, Posen, Prussia, as was her brother Martin Schulz. This town is only a couple of miles away from Siebenschlößchen, where another family of Zierkes came from who later settled in Princeton, Wisconsin near Harris. Friedrich Zierke Jr. was born in 1835. 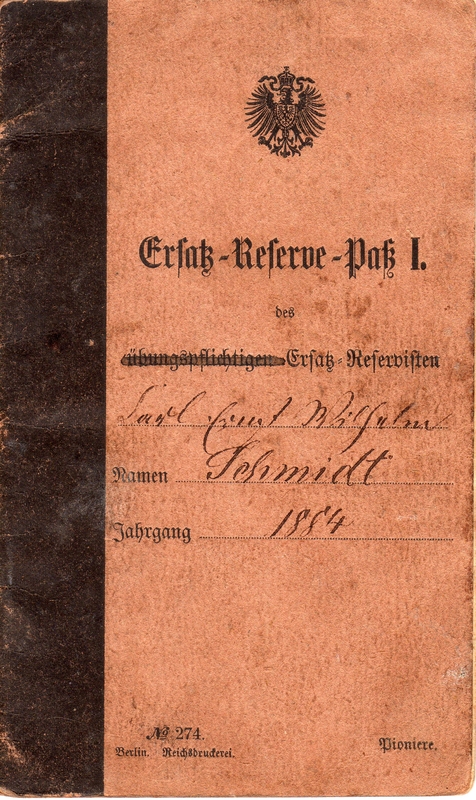 Friedrich Schmidt was born in 1832. The Schmidts were from Posen, Prussia. 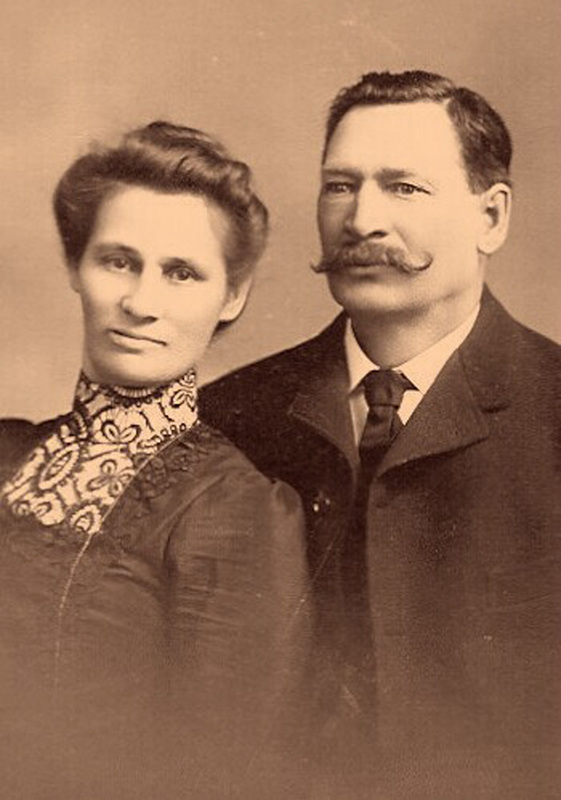 It is possible that the Schmidts and the Zierkes knew each other in Prussia because when Wilhelm Schmidt immigrated from Posen to America in 1885 he went to Marquette County in Wisconsin where he met and married Ottelia Zierke. It could be that he went there knowing there would be people from home. If that was the reason, it would be evidence that the Zierkes may have been from Posen or somewhere reasonably near it. 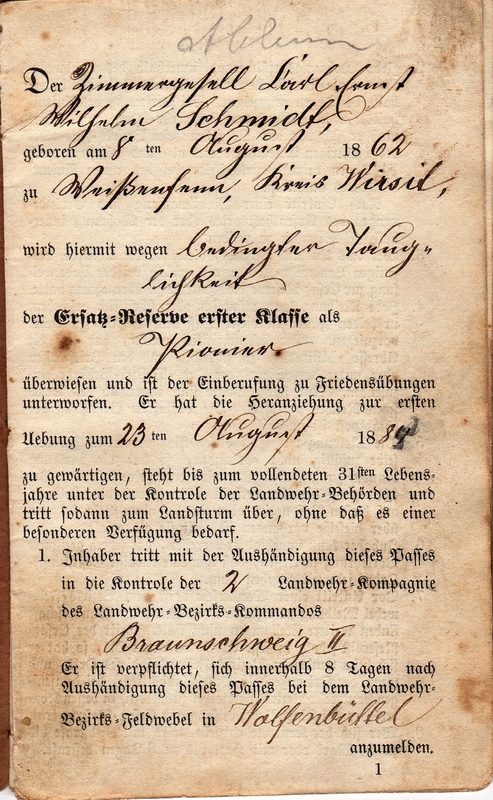 The strongest piece of evidence we have at this point is the German passenger list for the Zierke family’s trip from Hamburg to New York [Hamburg Passenger Lists ->1860-1869 > Direkt Band 019 (7 Jan 1865 – 23 Dez 1865) > p143]. The modern town of Jastrowie in Poland is a town that used to be called “Jastrow” by the Germans. 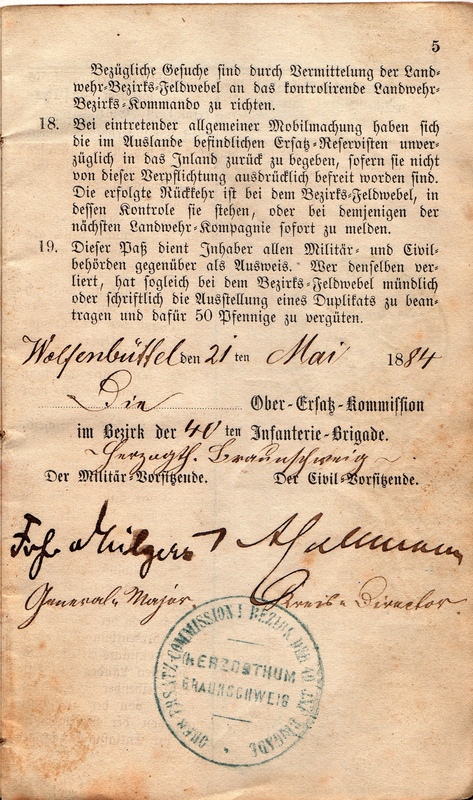 It actually belonged to the county Deutsch Krone, administrative district Marienwerder in the Prussian province of West Prussia at that time. Jastrowie is located about 12 miles North of the border of the Province of Posen. “Schneidemühl” (Polish name Pila, south of Jastrow) was the border town. To me it makes sense that the locals would use the Polish name for the town (hence “Jastrowie” on the passenger list rather than the German name “Jastrow”). That part of Prussia changed hands several times between Poland and Germany, so the locals probably used the local, Polish name. Another translation of the document is “Jablonowo”, another Polish name.